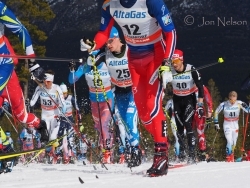 A large group of skiers heads out near the beginning of the Skiathlon course. 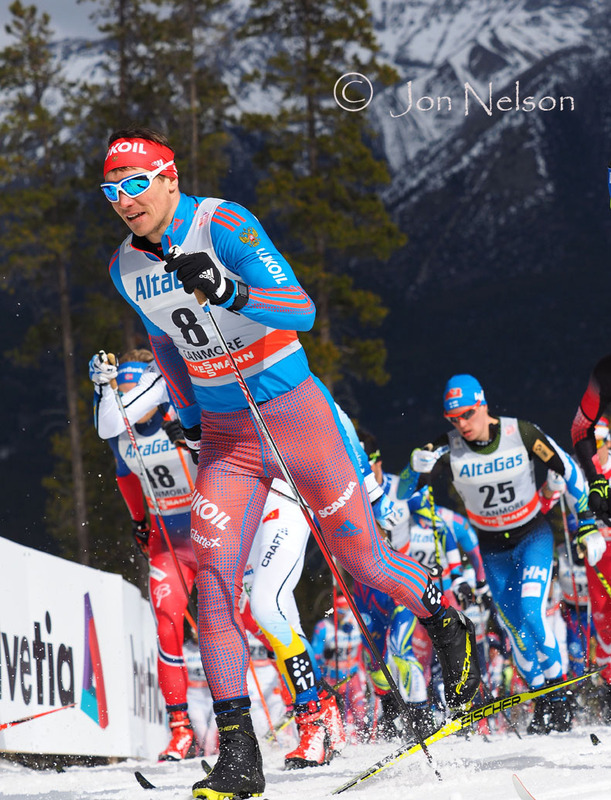 Russia's Andrey Larkov leads a group of skiers during the Classic portion of the race at the Canmore Nordic Centre. 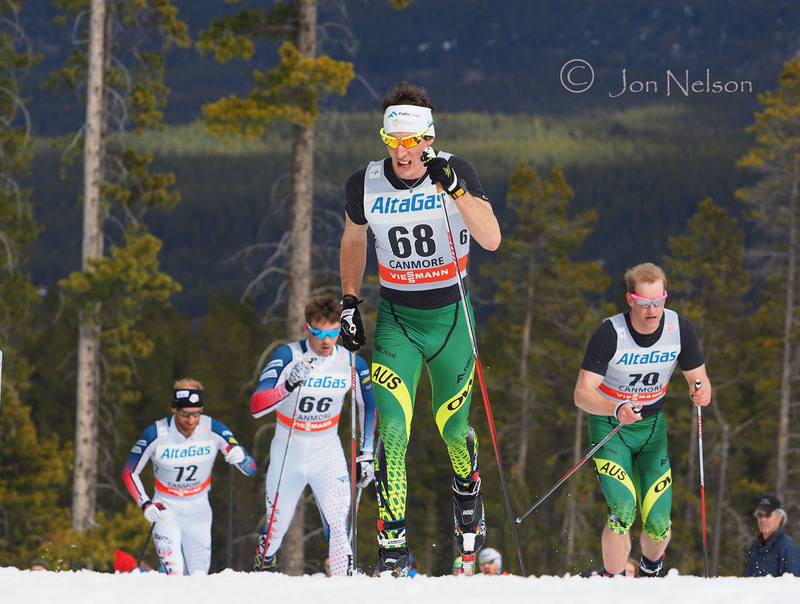 Callum Watson, an Australian skier, leads a group of skiers on a section of the Classic course. 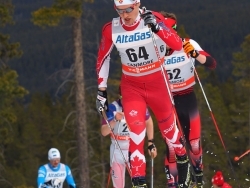 Andy Shields trains at the National Development Centre in Thunder Bay, Ontario and here he reaches the top of a hill during the Classic portion of the race. 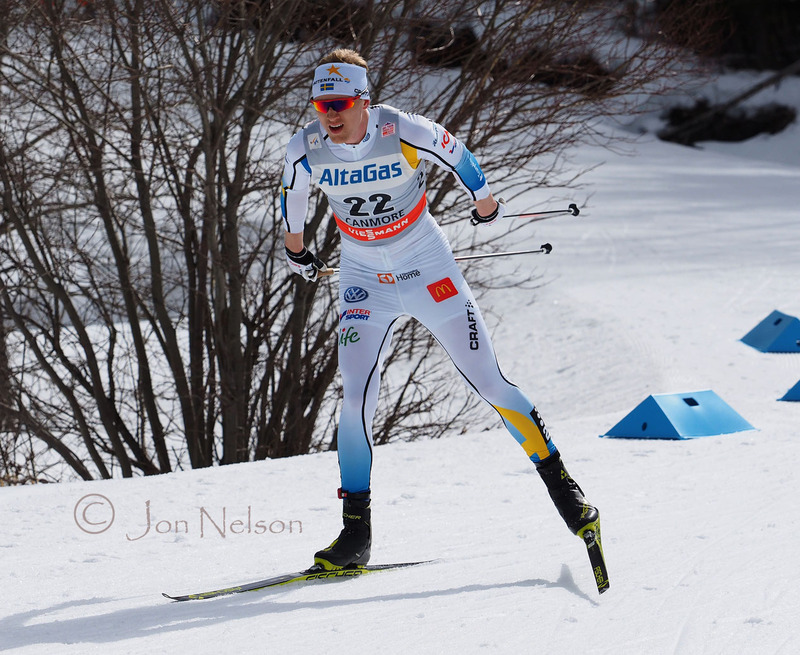 Austria's Luis Stadlober powers his along a difficult uphill prion of the trail. 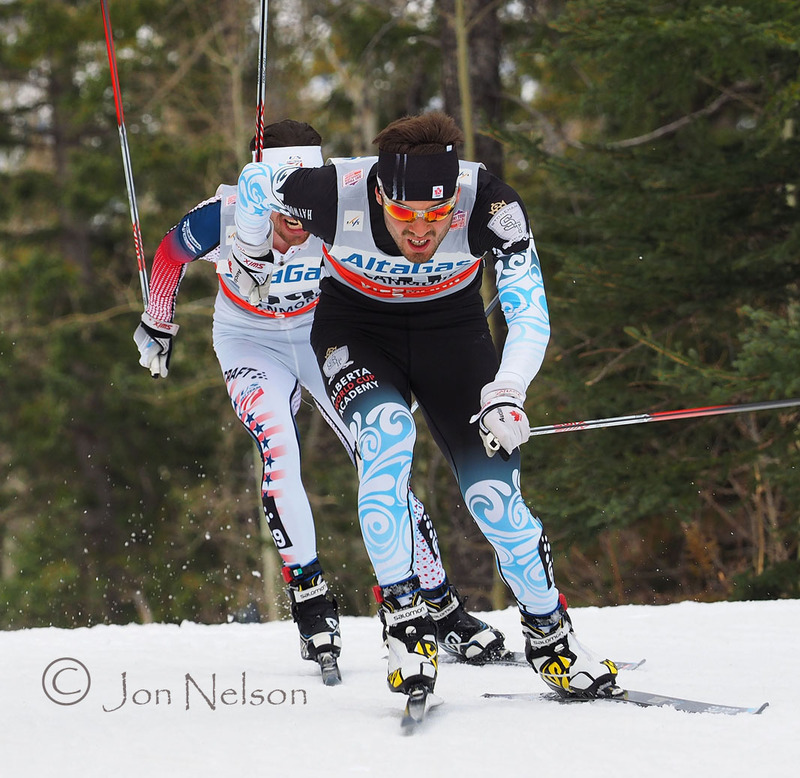 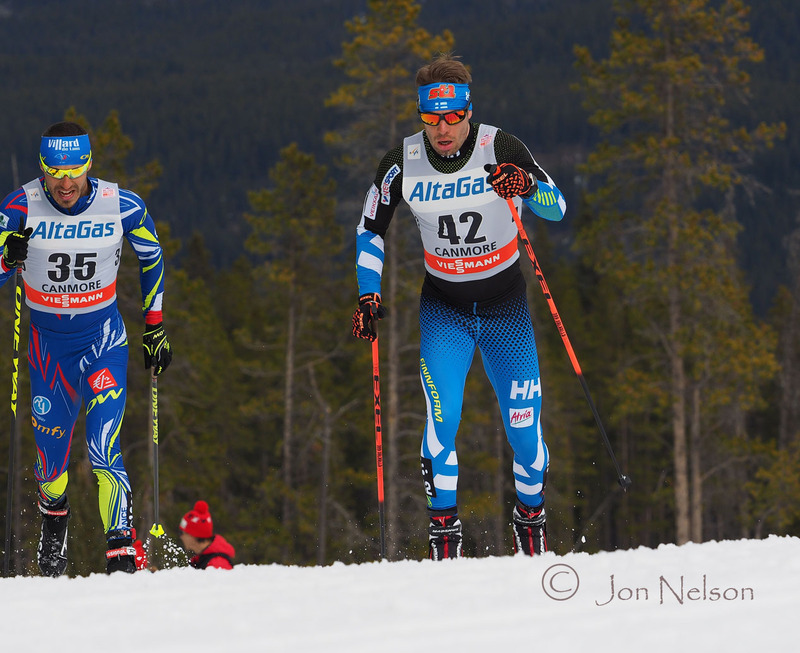 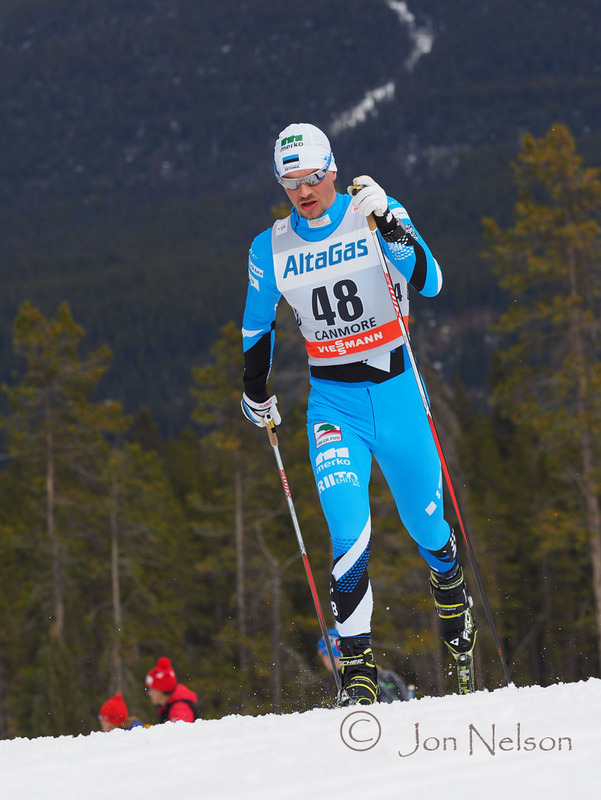 Raido Rankel of Estonia powers his way along the challenging Skiathlon course. 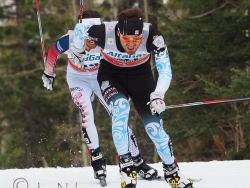 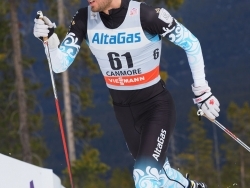 Baptiste Gros won a Sprint race in Quebec but the French skier also skied strongly in distance races in Canmore. 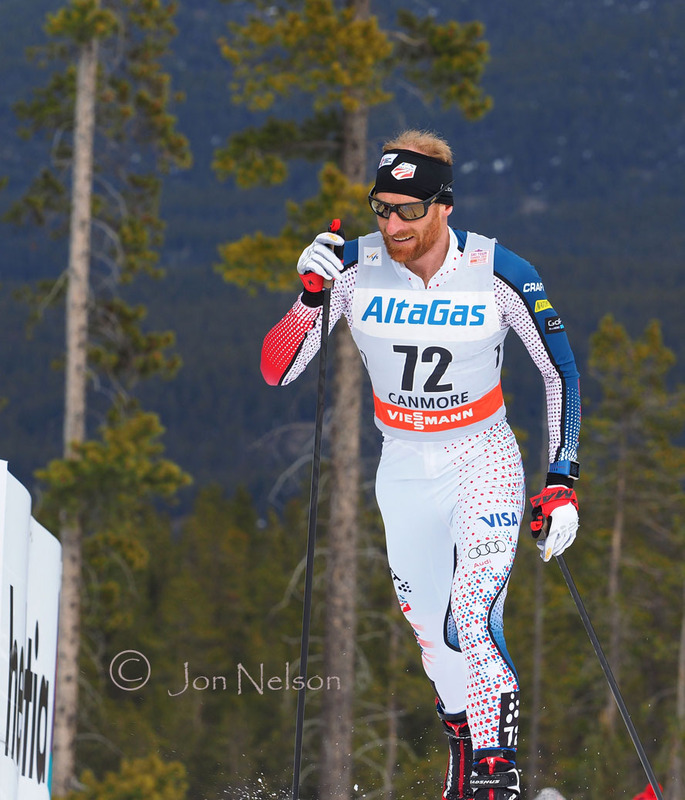 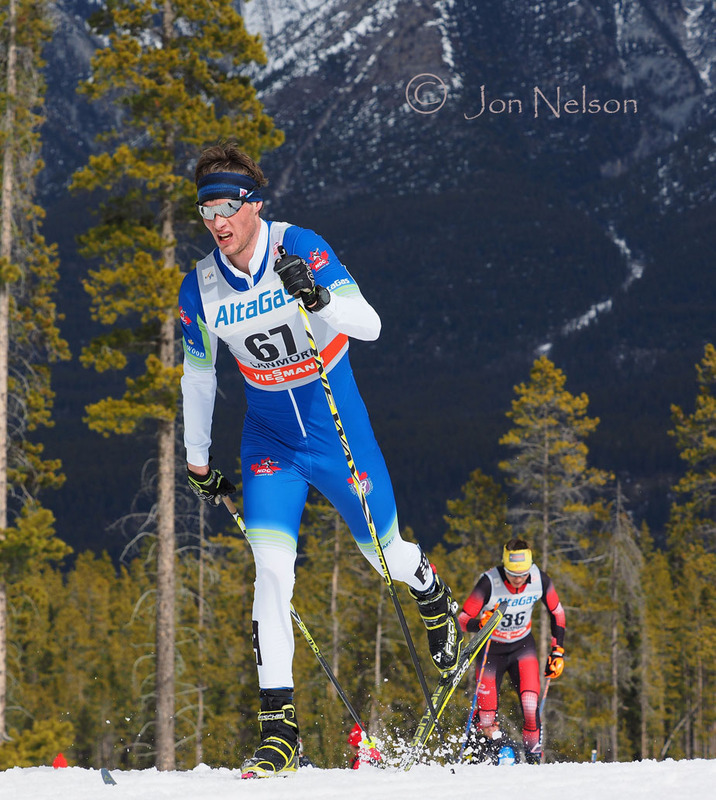 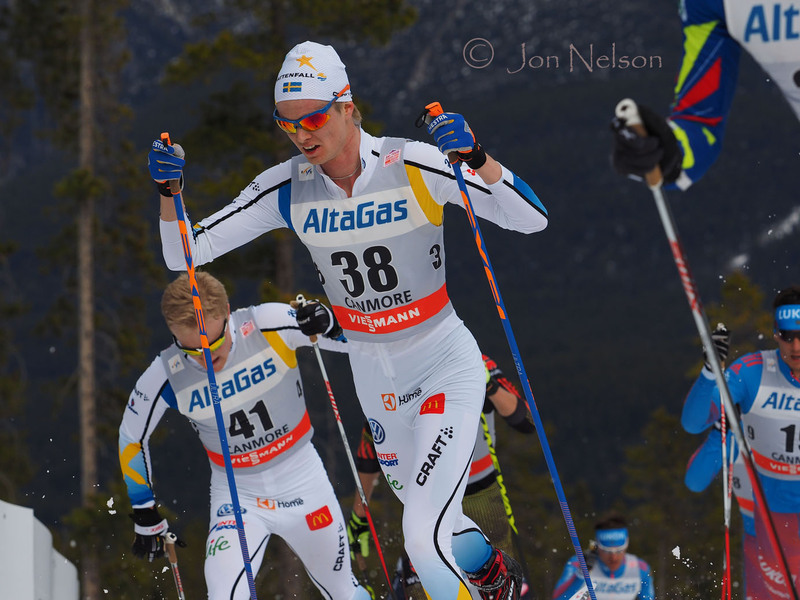 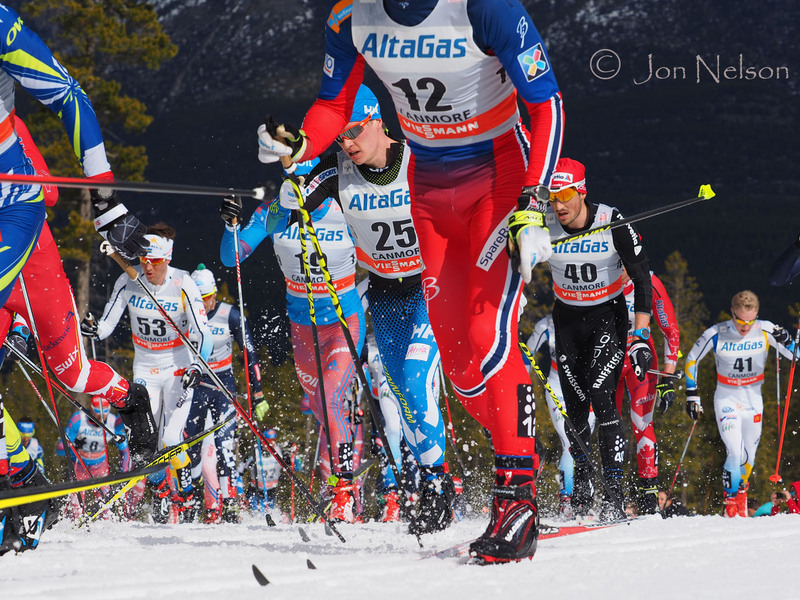 The Yukon's Knute Johnsgaard surges up an incline on the Canmore course. 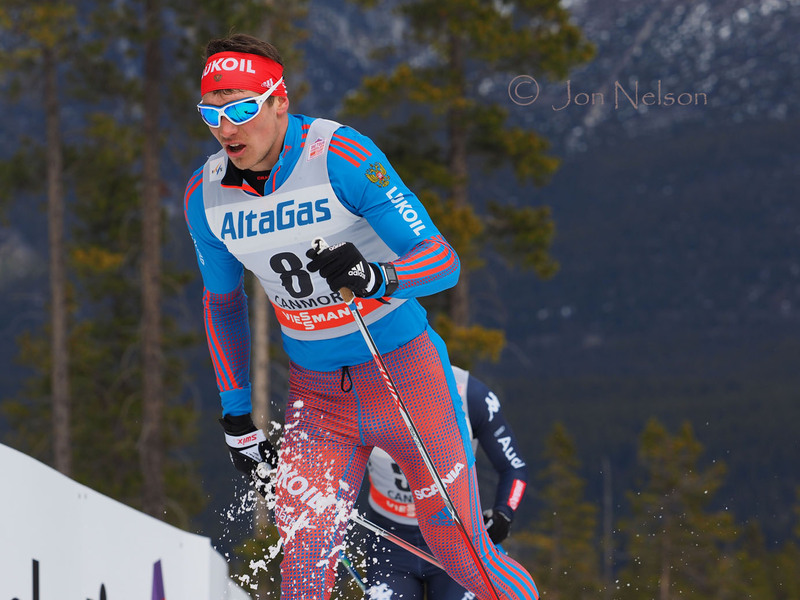 Sergey Turyshev turns a corner on the Classic portion of the Skiathlon course. 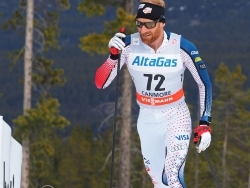 Bob Thompson grew up in Woodstock, Ontario and trains in Thunder Bay, Ontario. 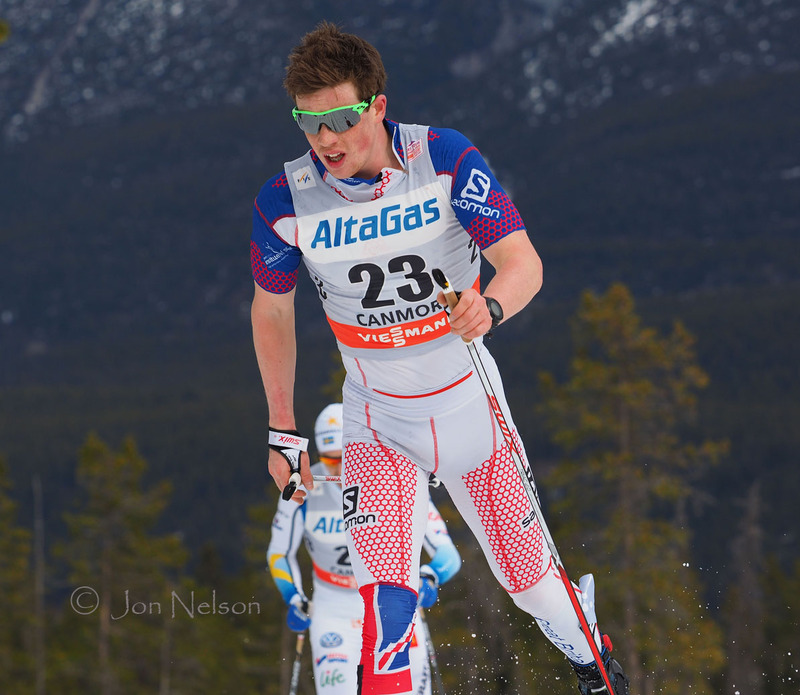 Great Britain's Andrew Musgrave skis confidently near the beginning of the Classic leg of the Skiathlon in Canmore, Alberta. 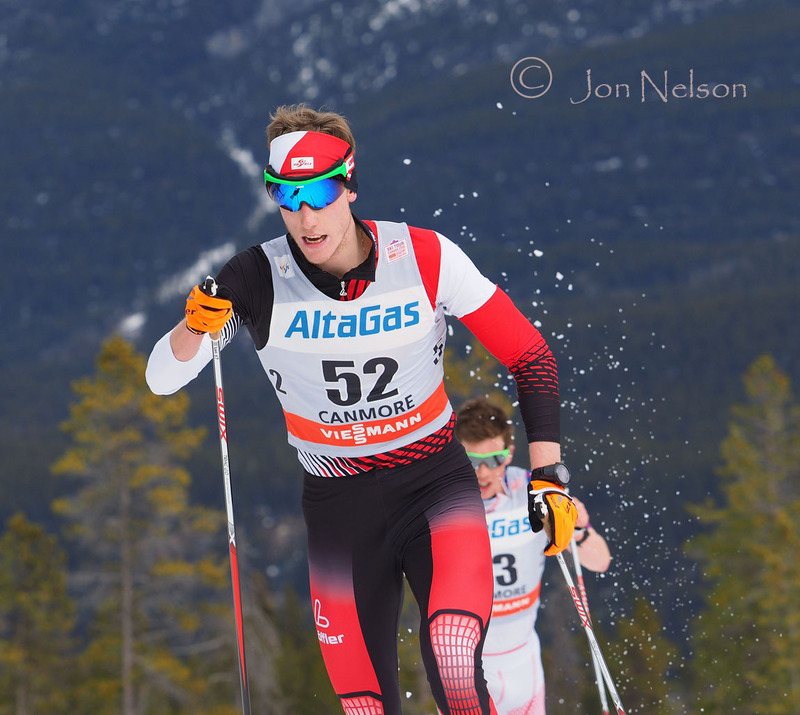 Kevin Sandau grew up near Canmore and skied well on these familiar trails at Ski Tour Canada 2016. 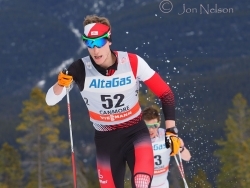 Michael Somppi grew up in Thunder Bay, Ontario and is adapting to the steeper terrain of the Canmore Nordic Centre. Starega works his way up one of the Canmore Nordic Centre's steepest hills. 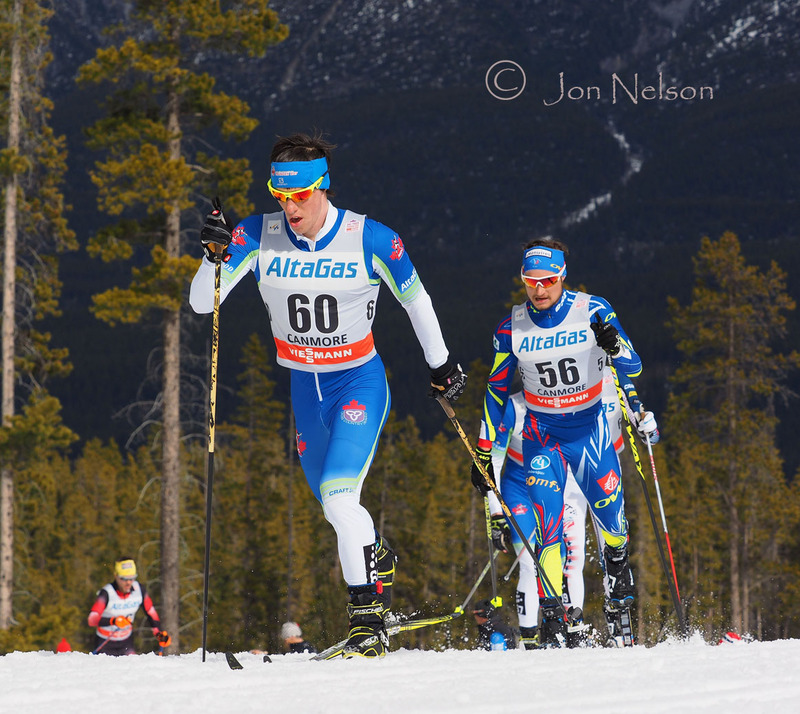 Bob Thompson moves rapidly along the Classic trail in Canmore. 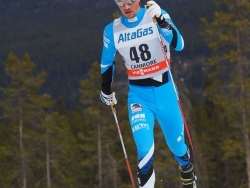 Lari Lehtonen was one of many Finnish skiers who had good results in Ski Tour Canada. 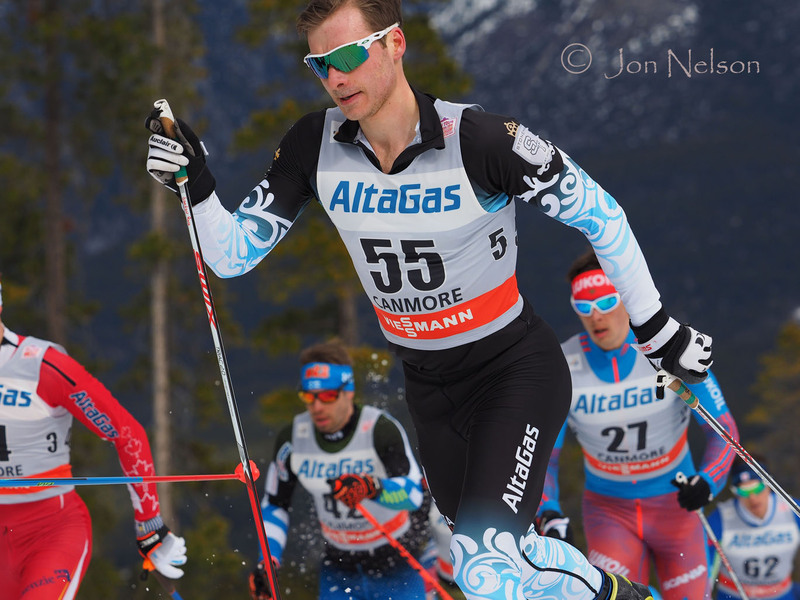 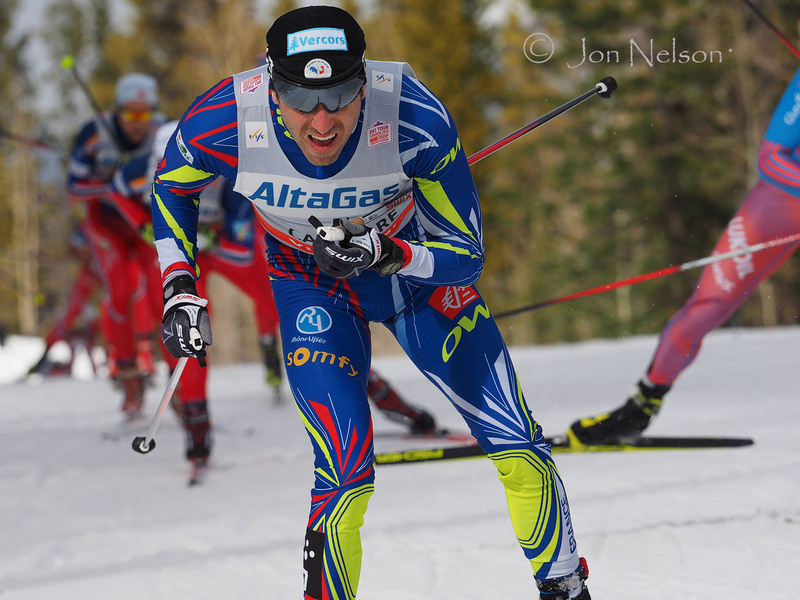 Brian Gregg moves smoothly near the end of the Classic part of the Skiathlon course in Canmore, Alberta. 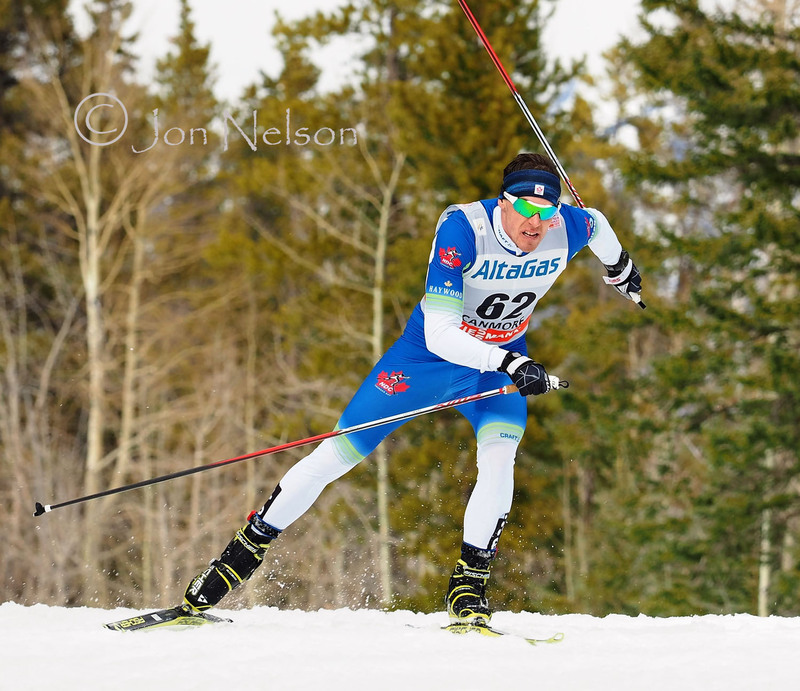 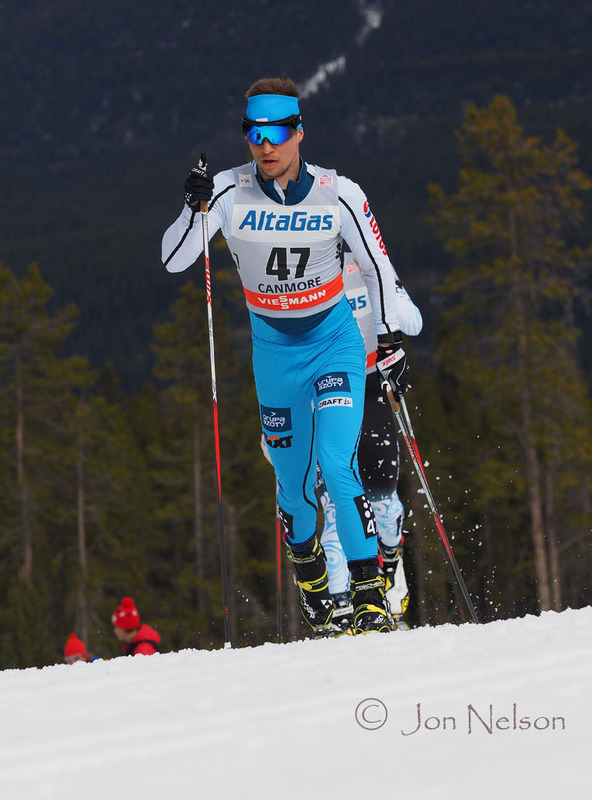 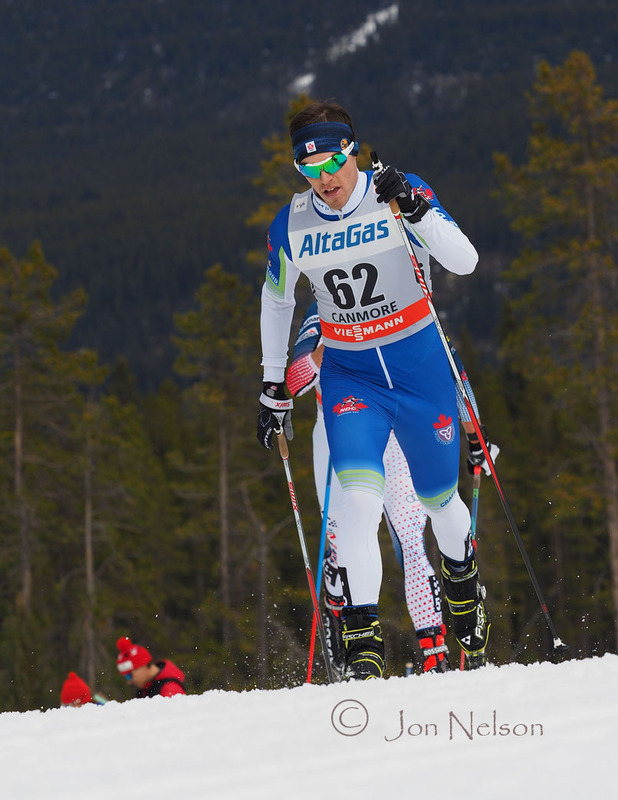 Evgenly Belov was one of Russia's strongest skiers in Ski Tour Canada 2016. 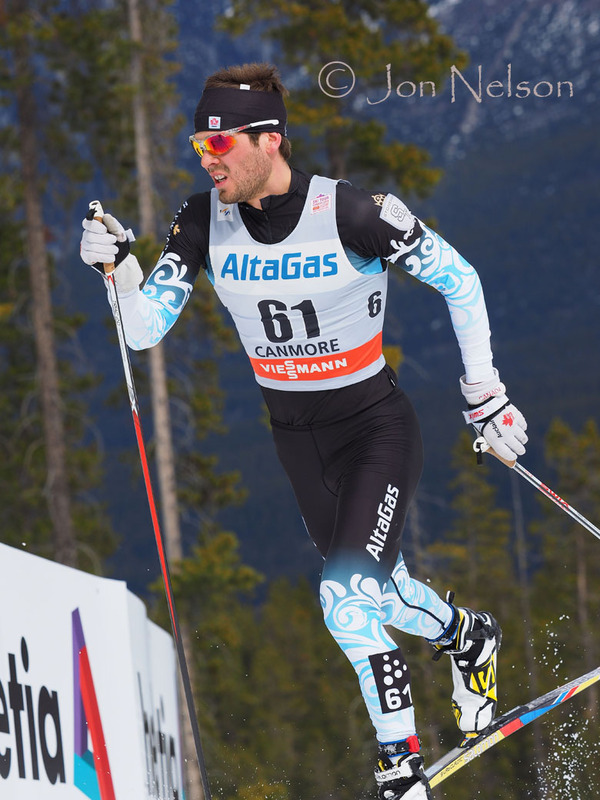 Bernhard Tritscher, skiing for Austria, moves swiftly along the Skating section of the course. 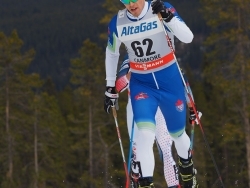 Marice Manificat moved up during the Skate portion of the race and finished 8th in the Skiathlon. 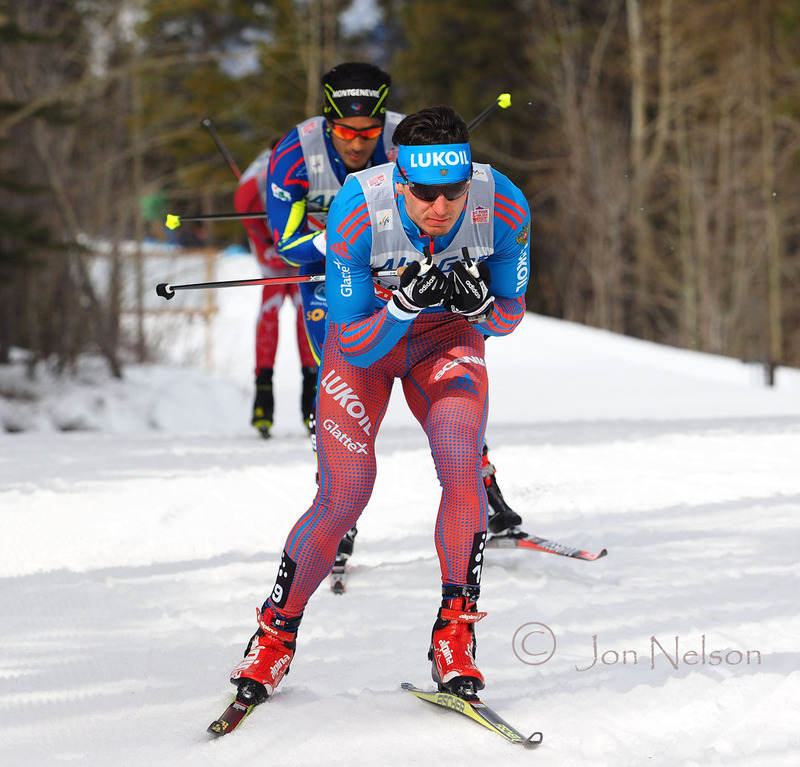 Michael Somppi moves rapidly along a flat portion of the Skate portion of the Skiathlon trail. Oskar Svensson fluidly skates along a section near the end of Skiathlon course. 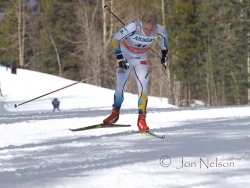 Simon Andersson skates with a small group on a flat section of course. 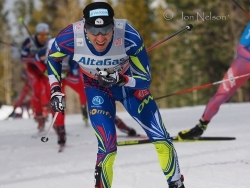 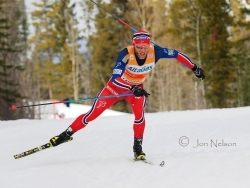 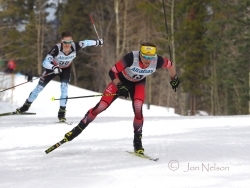 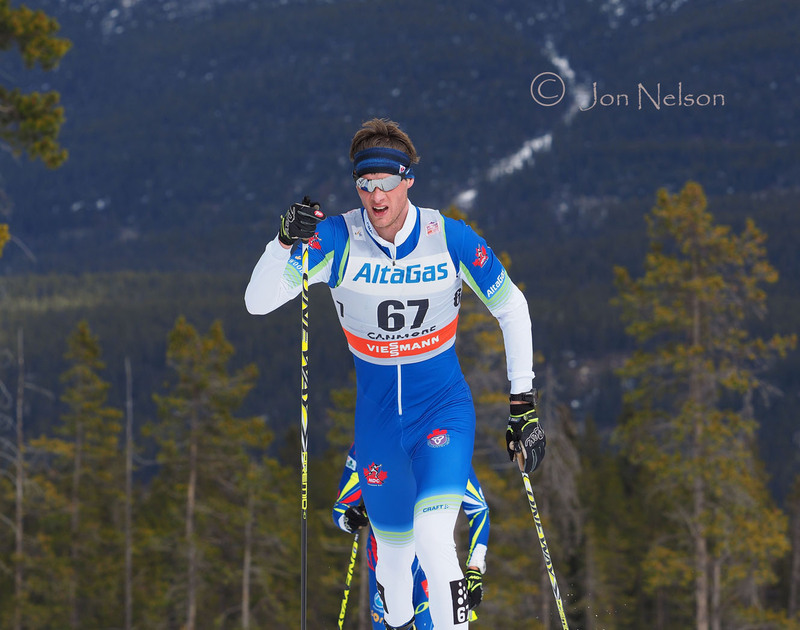 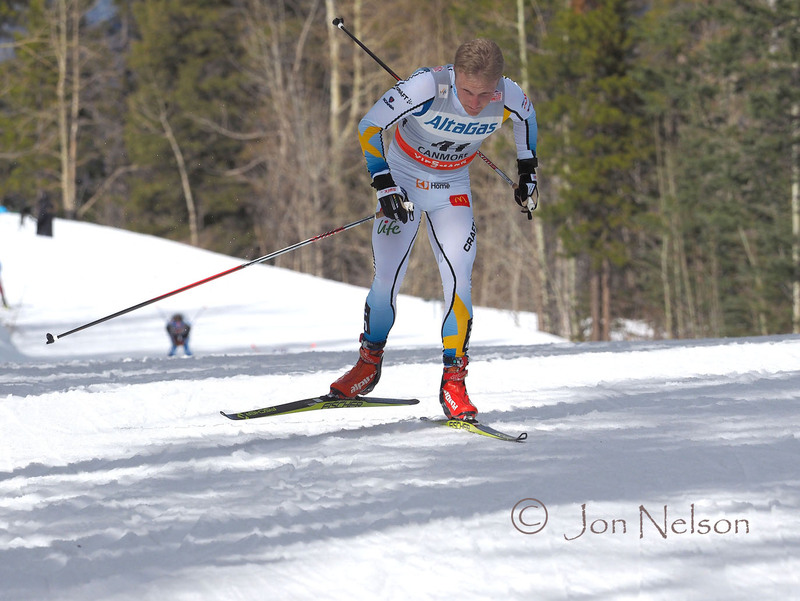 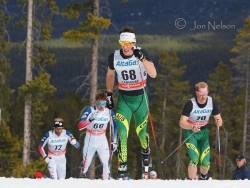 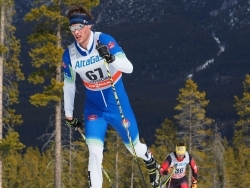 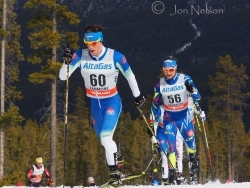 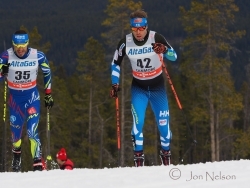 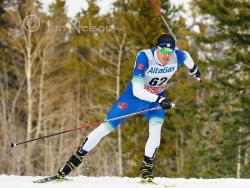 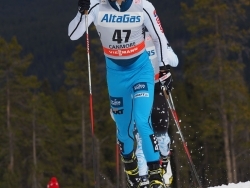 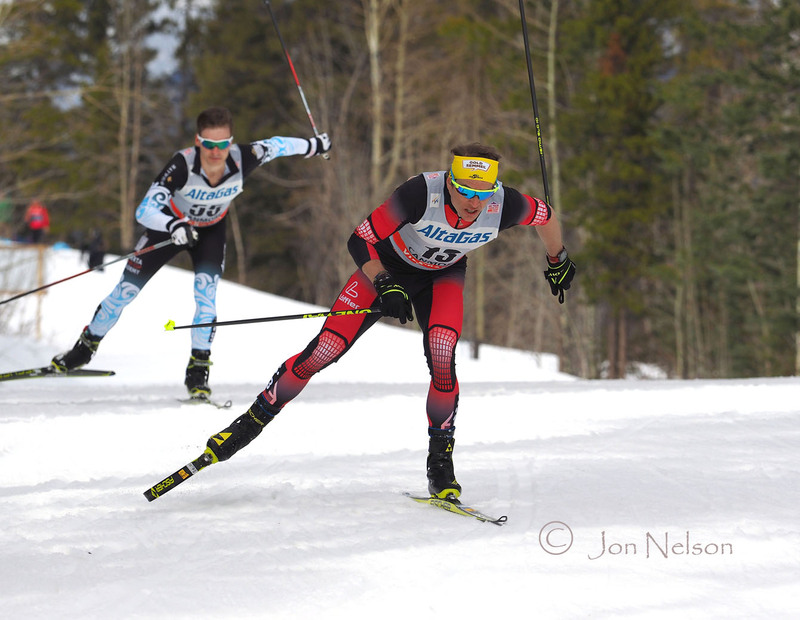 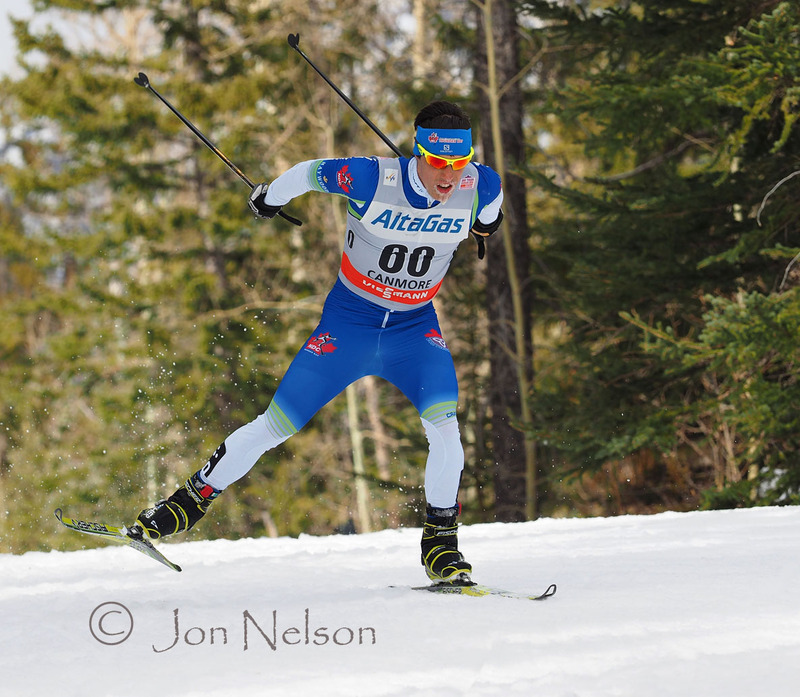 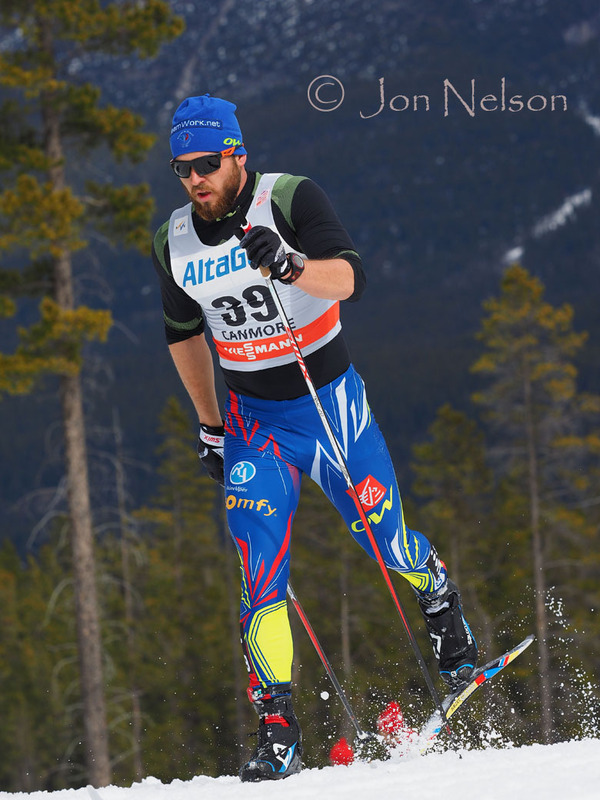 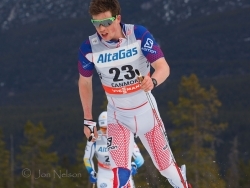 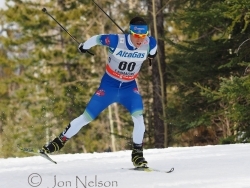 Martin Sundby had a strong Skate portion and won the Skiathlon race at the Canmore Nordic Centre. 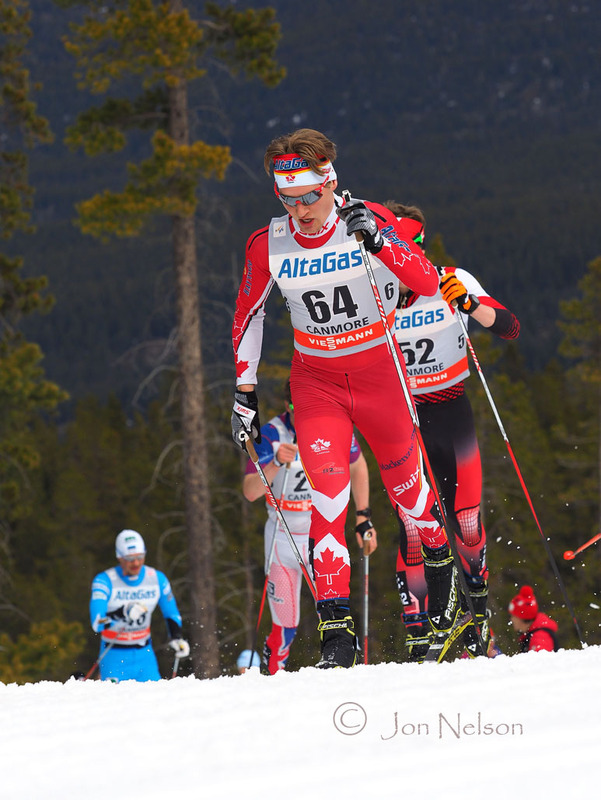 Andy Shields moves rapidly near the end of the Men's Skiathlon at Ski Tour Canada 2016. 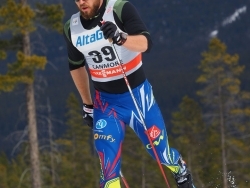 Patrick Stewart-Jones surges along during the skate portion of the Men's Skiathlon at Ski Tour Canada 2016.